I’ve now been breastfeeding Megan for over a year. She’s showing no signs of letting me stop any time soon and I’m happy to go with that. I fed Harry for 7 months until he self weaned so I’m hoping to follow Megan’s lead and stop when she’s ready too. 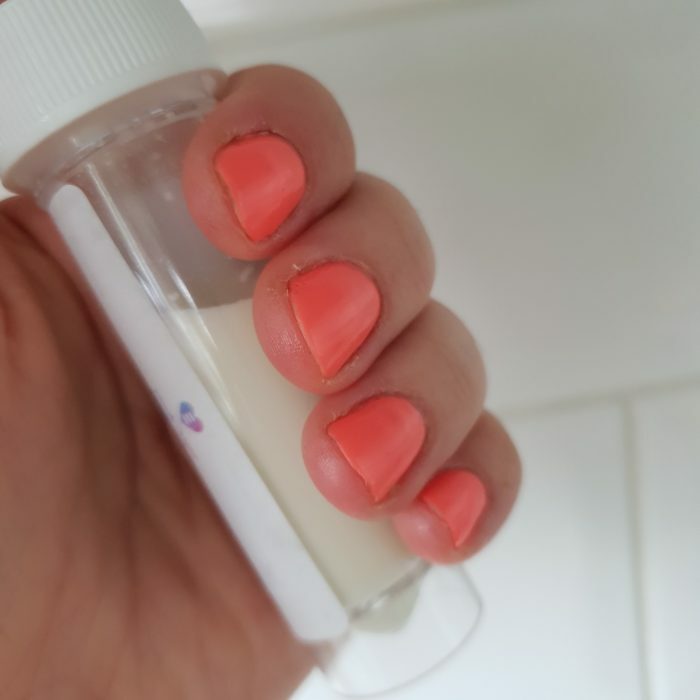 I wanted to celebrate our achievement and when the chance to review some Eternally Cherished breast milk jewellery came my way it seemed like the perfect way to mark our journey. I chose to have a ring and a necklace made and was sent a kit in the post to send my milk to Eternally Cherished for them to incorporate into the jewellery. The kit arrived quickly and had clear instructions. I let the lovely Erin at Eternally Cherished choose what design to make me and was excited to see what she created. She has lots of different designs on her website, all of which are really affordable. A few weeks later I received my jewellery back in the post. She had created me a sterling silver mama ring and a breastfeeding milestone necklace. The ring is my favourite piece. It’s beautiful and this photo doesn’t do it justice. The cream colour is the perfect nod to the milk used to create it and the gold leaf is a lovely way of acknowledging the liquid gold that nurtured my babies. The necklace has a blue and pink charm on it to represent my boy and girl. It’s not the sort of style I would usually wear but it’s great to see a brand that offers breast milk jewellery that is bright and funky. They really do offer something for every style and taste! I’d highly recommend if you have something specific in mind that you give as much detail as you can when you order. They want your jewellery to be perfect so are more than happy to listen to any requests. Megan loves fiddling with the necklace while she’s feeding and both pieces of jewellery will be something to cherish and remind me of these days for long after our breastfeeding days are over. 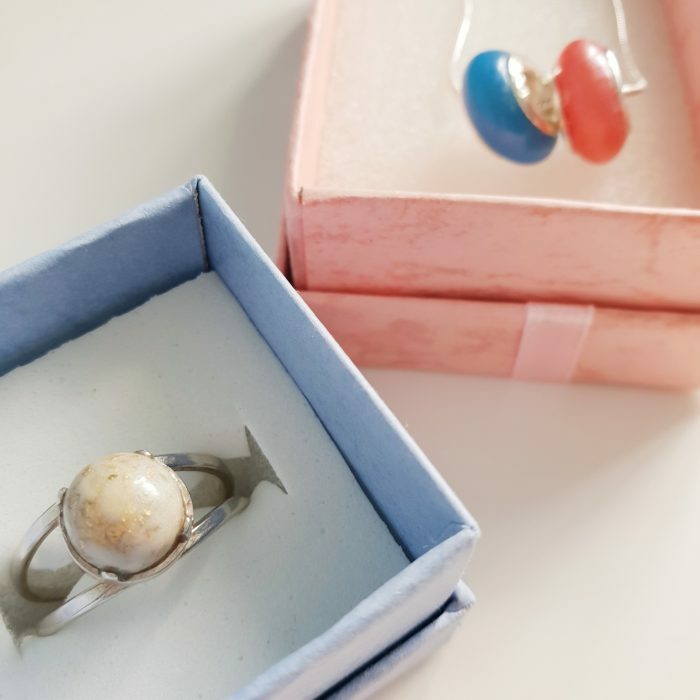 If you’re looking for a way to celebrate your feeding journey I’d definitely recommend looking into having a piece of jewellery made. Even if you’re feeding journey is over but you have a bag stashed away in the freezer that you don’t know what to do with then this is a great way to avoid it going to waste as they can use milk that has been frozen too! 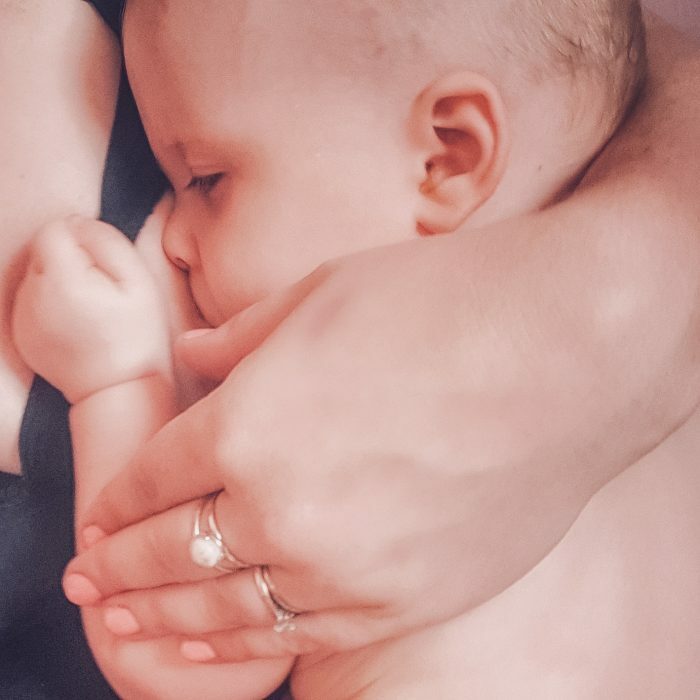 What do you think of breast milk jewellery? Is it something you’ve ever considered treating yourself to? 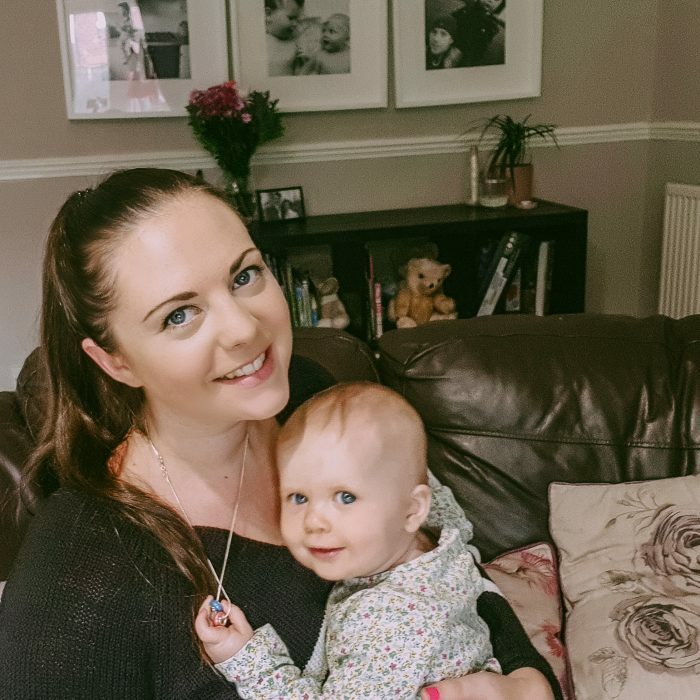 You can purchase Eternally Cherished breast milk jewellery here and can see loads of Erin’s beautiful designs on her Instagram here. 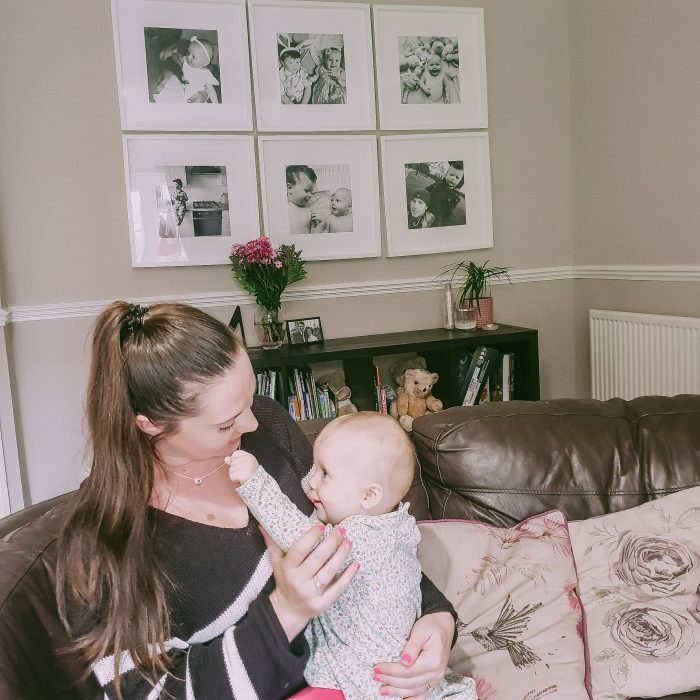 My Top Tips For Breastfeeding!